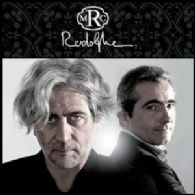 Sydney, Dec 14, 2010 (Global Fashion Wire) - Rodolphe Cattin on December 8, 2010, in front of the Swiss press, announced his return to the watch scene with the official launching of the Manufacture Rodolphe Cattin (MRC). To mark the occasion, he presented some original collections of both ladies' and men's models guaranteed to live up to consumers' expectations. Conceived and co-founded with Thomas Meyer, Rodolphe Cattin Manufacture brings together these two contemporary watchmaking talents with their avant-garde vision and spirit. Rodolphe Cattin is bringing all his experience and creativity back to the watch scene with the Manufacture Rodolphe Cattin, a brand that intends to live up to its image: dynamic, mature, rebellious and revolutionary. The primary goal for this accomplished artist, who defines himself as a designer, is to establish a synergy between the various contemporary watchmaking players who encouraged him to take up this new challenge with Thomas Meyer. Expect the partnership between these two professionals to make headlines! Rodolphe Cattin comes from Porrentruy and has never forgotten his roots. The development of his timepieces will also be influenced by his return to the cities of Neuchatel and La Chaux-de-Fonds, whose watchmaking tradition he carries within him like a tribute to the region's centuries-old know-how. While the manufacture is firmly rooted in the Jura, its founder draws his inspiration from the best of contemporary design in places like Paris, New York, Milan and Barcelona. Shaped by these various influences, his models promise to be so aesthetically unique that they will be transformed into pure emotion, above and beyond the high-calibre mechanisms they house. Featuring pink gold finishings combined with alligator, satin and rubies, the Manufacture Rodolphe Cattin range is available in two versions: exclusively feminine and infinitely masculine. For the ladies, the Utopia and Adore collections are refined but restrained combinations of glamour, motherof-pearl and diamonds. The small diamond-studded balls replacing the traditional horns add a sublimely feminine touch. For the men, the virile lines of the exceptional and unique Witness collection conceal a wide choice of movements: dual time zones, mono push-piece chronograph and original tourbillons. What makes this twofold approach so unusual is that it attaches more importance to the ladies' than to the men's collections (60/40). Thomas Meyer and Rodolphe Cattin carefully studied the new market trends before striving to reflect them in their creations. The result is a sublime symbiosis of a love for design and haute horlogerie in its most divine expression, 100% Made by Rodolphe Cattin. All of these new creations will be presented in January at an appropriate venue in Geneva. Watches from the Manufacture Rodolphe Cattin convey the aesthetic values of their creator and reflect a part of him. They house a broad variety of complications designed by truly inspired master watchmakers in La Chaux-de-Fonds. It is in this watch metropolis that the Manufacture Rodolphe Cattin produces the very best of this art. Every detail is thoroughly explored. Each element is studied to ensure that the manufacture of every movement adheres to the traditional methods of our watchmaking heritage. Designed in a futuristic retro version, the tourbillion and other movements are unique testimonies to the ingenuity of their inventors and fine examples of the skills of those who have created and continue to create these perfect masterpieces. Movements from the Manufacture featuring complications with revolutionary architecture. Sparkling and captivating. Timeless. Feminine and sublime. The latest creations from the Manufacture Rodolphe Cattin are an ode to femininity. The alligator or satin straps are held by small diamond-set balls replacing the watch's traditional horns. The purity of the mother-of-pearl dials reveals the infinity of the world and the timelessness of suspended time. The finest materials fashioned by the most accomplished jewellery craftsmen. Available in several versions, these watches are a subtle marriage between avant-garde design and watchmaking. Black and white diamonds, rubies and emeralds nestle in this miraculous and improbable setting. Polished 18K pink gold, curved, sofa-shaped case. 28mm x 21mm. Crown harmonizing with the design of the balls replacing the horns. Satin strap with folding clasp. Curved sapphire crystal with anti-reflective coating. Understated, refined black mother-of-pearl dial. Arabic numerals, pink goldplated hands with polished facets. MRC048 quartz movement with hour and minutes. Water-resistant to 30 meters. Curved 40mm square polished steel case with irregular setting of 184 diamonds (1.75 carats). Crown echoing the design of the balls replacing the horns. Alligator strap with folding clasp. Curved sapphire crystal with antireflective coating. White mother-of-pearl dial, unpretentious and pure, with Arabic numerals and hands with polished facets. MRC058 quartz movement with two time zones. Water-resistant to 30 meters. The sublime fusion of a love for design and grand complications. Manufactory-made movements representing the very best of the art of watchmaking. Two designs, one look. These 100% Manufacture Rodolphe Cattin creations come in Single Pushpiece Chronograph and Dual Time versions, as well as other horological treasures like the various tourbillons. These sumptuous watches are characterised by the technical nature and revolutionary architecture of their movements, and strike an impressive note with their simplicity and design. A modern case and black and white mother-of-pearl dials. Refined materials - gold and steel. Alligator strap. Unique and unequivocally masculine. 18K white gold middle, 45 mm, equipped with a curved sapphire crystal. Manufactory-made MRC800 skeleton tourbillon automatic mechanical movement. Hour and minute functions. 72-hour power reserve with winding mechanism visible through the back. Facetted, polished hands. Claw-shaped horns. Alligator strap with 18K white gold triple folding clasp. Water-resistant to 30 meters.